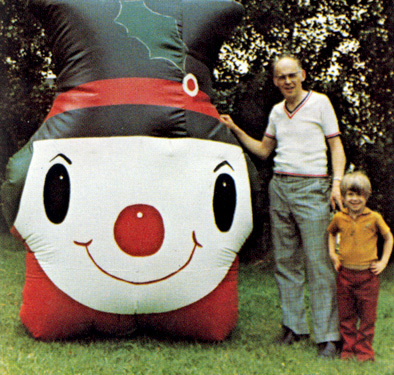 Jim Thomson, the founder of Dynamic Displays, has been recognized by the Inflatable Advertising Dealers Association as the father of the cold air inflatable, and was inducted into their industry Hall of Fame in 2000. 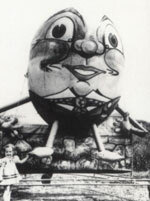 In 1962, he purchased several heavy “Good Year” rubber parade balloons. After experiencing numerous problems of leaking and cracked paint, he inserted a constant running fan in these units to solve the problems, and in 1964 an industry was born. Dynamic Displays’ tradition of creativity is still alive today under the direction of Jim’s youngest son, Stephen Thomson. 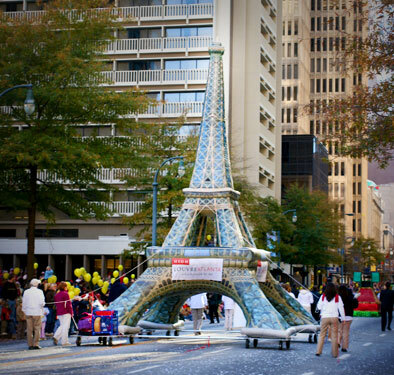 We take delight in turning out some of the most innovative and beautiful inflatable products on the market. Some of our more noteworthy projects include our incredibly accurate Helium Giant character replicas (check out our Licensed Character Photo Gallery), and Whale World—a giant educational exhibit featuring marine learning stations, seven different inflatable whale replicas, and an awesome, 80′ walk-through Blue Whale. Those walking through can view the internal workings of the whale, including a beating heart, working lungs, and a growing fetus. What we love most is the chance to make your wildest dream a reality—bring on the challenge. 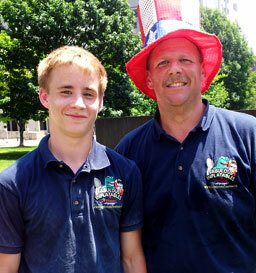 Steve Thomson began working with his father right out of college in 1991. He worked in the production and design departments, managed the night shift and was Director of Operations for six years before taking the helm as president in 2003. Dave Stecher has a combined sales experience of over 30 years working directly with customers and their individual, specialized needs. His number one priority is helping you get the best value for your money, so contact him for a quote and help putting an incredible package together for your event! 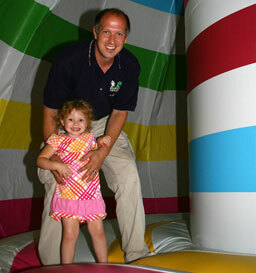 From concept to final creation, every Fabulous Inflatables design is carefully crafted in-house by our dynamic team. Whether it’s providing friendly, flexible customer service, or making sure that your character makes its transition from page to parade with elegance and ease, our staff are the best at what they do. 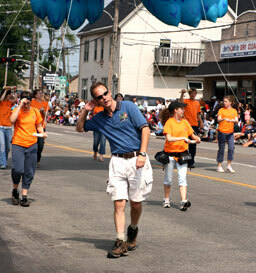 On the street, our team of parade staff are professional, knowledgeable, and committed to the success of your event. We can serve you globally, with one or fifty dynamic men and women wearing our uniform or yours, blending seamlessly with your crew. Dynamic Displays has been building, using, inventing and servicing all types of inflatables for the past 50 years. Since the founding of this company, we have been on the edge of product development, providing our clients with a wide range of products for sale or rental and innovative techniques for usage. We have learned much through the years and our products are evidence of this. Building on our record of past successes, we have now focused on the service that we can give to our corporate clients.